Why Book With Us? 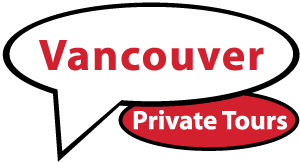 - A.E.Vancouver Private Tours & Charters Inc.
We have worked hard over the years to ensure that our small company stands out. We are a private tour company. What that means, is that the only people on your trip, are you, and your family and friends. We do not load up the vehicle with strangers from various hotels. We work with you and your travel consultant in advance to build up the kind of trip YOU want. We build our itineraries uniquely for each trip. With over 40 years of combined tourism experience, our well is deep in this industry. We know what works and what doesn’t, and we understand that our guests choose us because of our attention to detail and our dedication to exceeding all expectations. We are many things; friends, guides, photographers, professional drivers, conversationalists, walking Wikipedia’s, Hosts. We have many unique traits and backgrounds. Sadly though, we are not everything. Our organization is a Tour Company. We provide you with itineraries, experiences, photos and memories. We are not a Travel Agency, which means we are unable to book overnight accomodations for you. If overnight trips are something you are interested in, we can recommend some great local travel agents and hotels. We will also work with yourself or your personal travel consultant to ensure the itinerary works with your travel and accommodation plans. We are not a Limousine company. We provide first class transportation with a fully knowledgeable guide as your professional driver. Book with us, assured you will be safely driven and well cared for with any questions you may have.